The International Day of the Disappeared on August 30 was created to draw attention to the fate of individuals imprisoned at places and under poor conditions unknown to their relatives and/or legal representatives. The impulse for the day came from the Latin American Federation of Associations for Relatives of Detained-Disappeared (Federación Latinoamericana de Asociaciones de Familiares de Detenidos-Desaparecidos, or FEDEFAM), a non-governmental organization founded in 1981 in Costa Rica as an association of local and regional groups actively working against secret imprisonment, forced disappearances and abduction in a number of Latin-American countries. Work on secret imprisonment is an important part of the activities for a number of international bodies and organizations in the fields of human rights activism and humanitarian aid, including Amnesty International (AI), the Office of the United Nations High Commissioner for Human Rights (OHCHR) and the International Committee of the Red Cross (ICRC). The International Day of the Disappeared is an opportunity to highlight these institutions’ work, increase public awareness, and to call for donations and volunteers. Of those agencies, the ICRC has additional privileges due to its special status as a non-governmental sovereign entity and its strict policy of neutrality. In some cases, the ICRC is the only institution granted access to specific groups of prisoners, thereby enabling a minimum level of contact and inspection of their treatment. For affected families, messages transmitted by the ICRC are often the only hint about the fate of these prisoners. Visiting those detained in relation to conflicts and enabling them to restore and maintain contact with their families are important parts of the ICRC’s mandate. But the definition of the “missing” or the “disappeared” goes far beyond the victims of enforced disappearance. It includes all those whose families have lost contact as the result of conflicts, natural disasters or other tragedies. These missing may be detained, stranded in foreign countries, hospitalized or dead. Through its tracing services and working with the 189 national Red Cross and Red Crescent societies around the world, the ICRC seeks to obtain information about their fate on behalf of their families. It reminds governments and other groups of their obligations to respect the families’ right to know the status of their loved ones. It also works with families of the missing to help them address their psychological, social legal and financial needs. Imprisonment under secret or uncertain circumstances is a grave violation of human rights as well as, in the case of an armed conflict, of International Humanitarian Law. The General Assembly of the United Nations adopted a Declaration on the Protection of all Persons from Enforced Disappearance as resolution 47/133 on December 18, 1992. It is estimated that secret imprisonment is practiced in about 30 countries. The OHCHR Working Group on Enforced or Involuntary Disappearances has registered about 46,000 cases of people who disappeared under unknown circumstances. 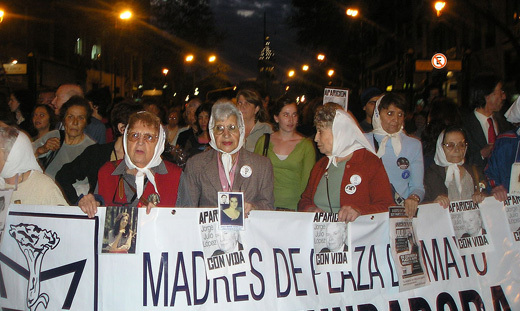 One of the best known expressions of protest against the practice of “disappearing” people is the Mothers of the Plaza de Mayo, who have congregated since 1977 in a historic public space in Buenos Aires with signs and pictures of desaparecidos, their children, who were subject to forced disappearance by the Argentine military in the Dirty War. People perceived to be supportive of subversive activities – that would include expressing left-wing ideas, or having any link with these people, however tenuous – would be illegally detained, subject to abuse and torture, and finally murdered in secret. Young pregnant women would be kept alive until they gave birth, then murdered, their children given to military families eager to adopt a baby. The Mothers of the Plaza de Mayo took advantage of the symbolic importance of the Plaza to open the public’s eyes to what the military regime was doing. 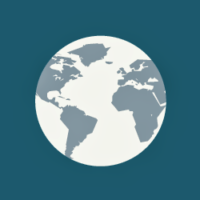 On August 30, 2008 the International Coalition against Enforced Disappearances, which gathers family member organizations and human rights organizations from around the world, launched a global campaign to promote the ratification of the International Convention for the Protection of All Persons from Enforced Disappearance. As of the end of July 2016, 96 nations have signed the convention and 52 have ratified it. The United States – famous for Abu Ghraib, Guantánamo, CIA “black sites” and “extraordinary rendition” – has done neither. The British Red Cross has an extensive program to help people locate missing relatives. Here is a haunting version of Holly Near’s song “Hay una mujer desaparecida” about the missing women of Chile during the Pinochet junta, sung by a French women’s chorus. Adapted from www.cute-calendar.com, Wikipedia, and other sources.